The Senheng Purple League is back for the 2018/19 season bigger, better and ready to take its place as Malaysia's leading badminton league. After four successive seasons, the Senheng Purple League is on a level way above the rest with the continuous support of the local and international fans, the vital sponsorship of various companies and participation of world-class players. Known for its prestigious status, the clubs competing in the Senheng Purple League have no problems securing the services of some the world’s best badminton players to represent them throughout the season. Some of the big names that have graced the Senheng Purple League are Datuk Lee Chong Wei, Chou Tien Chen, Zhao Yunlei, Tai Tzu Ying, Christinna Pedersen, Markis Kido, Tommy Sugiarto and Lee Yong Dae to name a few. To whet that fans' appetite, the Purple League Junior (PLJ) will kick off earlier with 19 teams having confirmed their entries. PLJ is the main platform where the up-and-coming talented young players gain experience, exposure and a chance to prove they can be better players. But more importantly, the PLJ will be the avenue for scouts to identify players with the potential to be world class. This therefore proves that the Senheng Purple League plays an important role as one of the main contributors to the development of badminton in Malaysia. Dato’ Jack Koh, Chief Executive Officer of Malaysia Purple League said: "Senheng Purple League will be entering its fifth consecutive season, and to be able to reach this stage, is not an easy task. With the support of the fans, sponsors, media, Ministry of Youth and Sports (KBS), and Badminton Association of Malaysia (BAM), we can safely say that Senheng Purple League has reached a new level. "Of course, this league will drive Malaysia forward where badminton is concerned. We also anticipate never-ending support from all parties because the success of the league in this country depends very much on that kind of backing which puts it at an exceptional level in badminton." 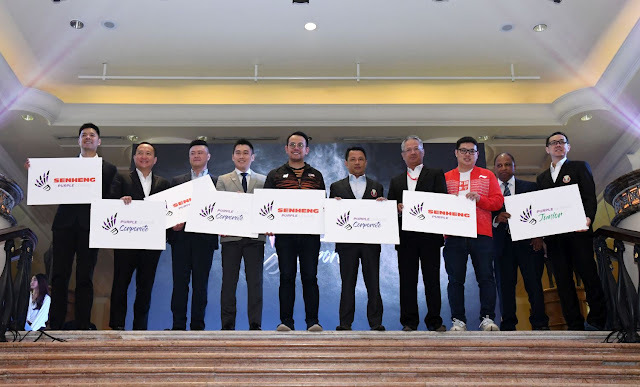 He added: "We at Purple League would like to thank the title sponsor, Senheng, Astro, Li-Ning, 100 Plus, and Resorts World Genting for backing our initiative to ensure that the development of badminton in our country will not slow down. 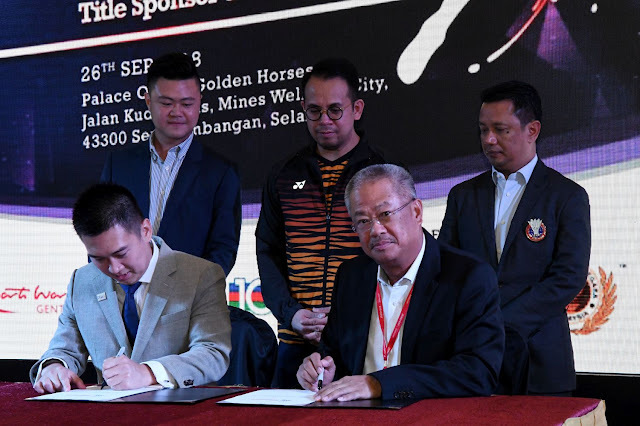 I am sure this partnership will continue to flourish for the benefit of all parties concerned in our quest to make badminton in Malaysia great again. Meanwhile, Managing Director of Senheng, Lim Kim Heng confirmed that his company will always give its full support towards all sporting activities in Malaysia. "Senheng has played its role and provided full support to ensure that the sporting activities we are involved in run smoothly. We feel that it is a part of our responsibility because sports will always bring glory and pride to our country," he said. "We are fully committed to backing the Senheng Purple League and all it stands for because we believe that our values are synonymous with those of the Purple League. That being the case, we are continuously looking to strengthen our relationship in every way and grow together as a united front. “At Senheng, we are always supporting this positive aura and I hope through this sponsorship, badminton and especially Purple League, will gain more support from all concerned,” added Kim Heng. The fifth edition of the Senheng Purple League is scheduled to take off at Gem In Mall, Cyberjaya on 20th December. The Grand Finals will be held at Arena of Stars, Resorts World Genting in January 2019.